The MEKAYOGA Villa had a little makeover this winter to make your stay even more comfortable. 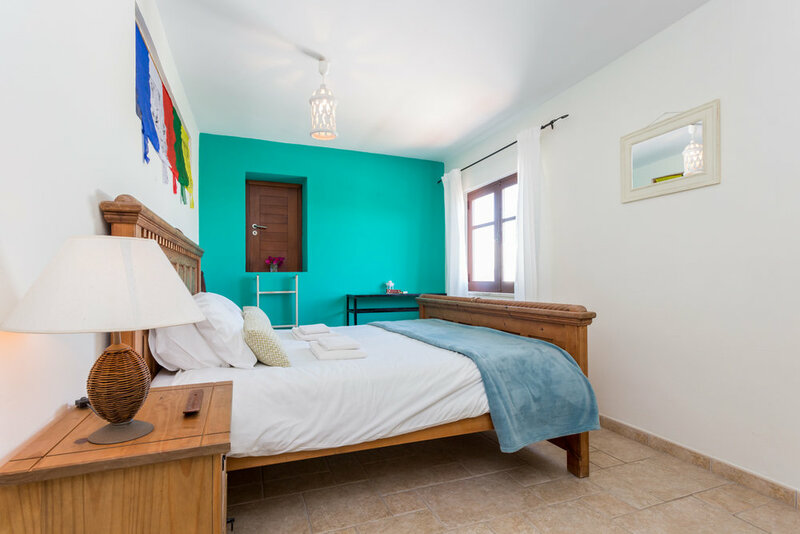 The traditional 4 bedroom Portuguese villa was painted inside and outside, the bathrooms were restored and we have replaced all the beds with comfy new mattresses to fully enjoy your retreat. The light and airy villa is a perfect place to unwind after an activity filled day; simply kick back and enjoy the beautiful pool, views and garden. Each room features either double, twin or triple beds, all with ensuite bathroom and a fantastic view of the lush garden. Enjoy your delicious breakfast on one of the spacious terraces, relax and unwind in the hammocks under the orange trees, or read a book on one of the sun loungers by the pool. The large wooden yoga deck is perfect for our morning and afternoon yoga sessions. A sunrise yoga session outside is just a magical experience! With the accommodation just a 30 minute walk from the beach, you can hike through the national park and explore this area’s stunning flora and fauna. With endless stretching golden sandy beaches, crystal clear ocean, stunning sunsets, and a little bit of traditional town atmosphere, this place is just heaven.